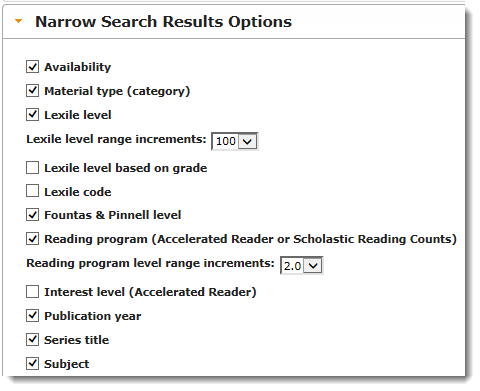 The new Narrow Results feature in Safari 8 helps your patrons focus in on the titles that interest them most without having to use complex search filters. 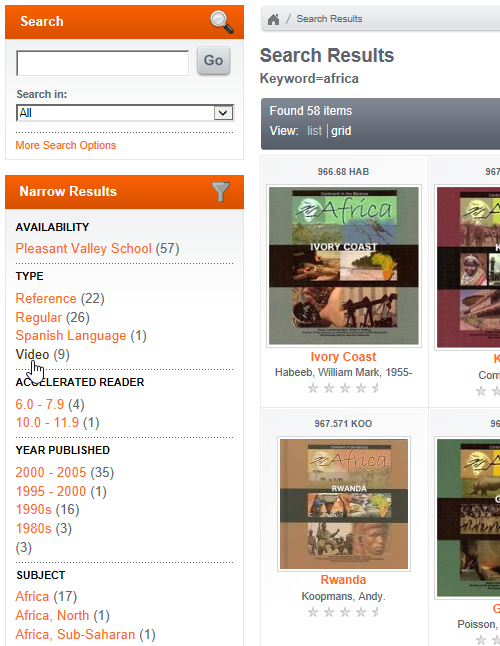 Here's an example: This patron did a simple search for "Africa" and got a list of 58 titles. Quite a few! 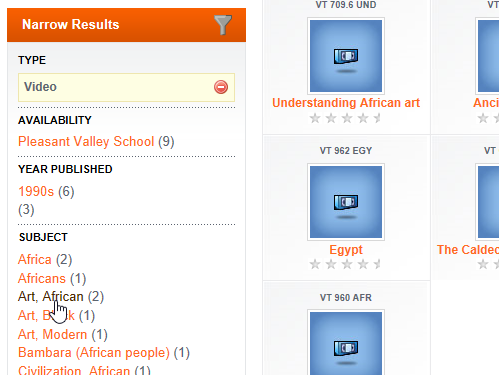 To the left of the results is a break down of those titles by various facets such as material type, reading level, year published, subject, and more. Videos about Africa sound interesting to her and she sees that there were nine of those in her search, so she clicks "Video" to narrow the focus to just the videos. The list focuses in on just the videos and a new summary is shown for just the videos. 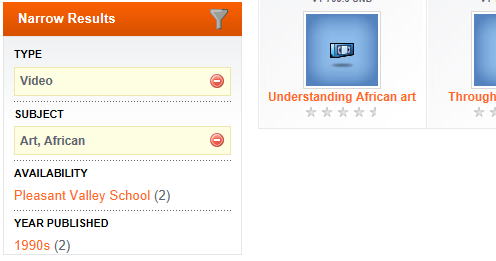 She sees in the subjects that are two videos about African art and clicks there to see just those. The Narrow Search Results feature is enabled by default and takes the place of Safari's Search Filters, which had to be applied before you searched and were not nearly as intuitive or powerful. If you like, though, you can re-enable the classic Search Filters back on in Safari's Setup. Under "Narrow Search Results" on Safari's Setup page (available to you when you're logged into Safari as an administrator), you can control which facets of search results are presented to the patron. Safari is a part of Surpass 8, which is available for download the from SurpassSupport.com. Select "Your Software" from the top menu. Licensed Surpass Central users with an active Surpass Support subscription will be able to download the update here at no cost as a part of their subscription. Surpass Hosting Service users will be updated automatically and do not need to take any action.